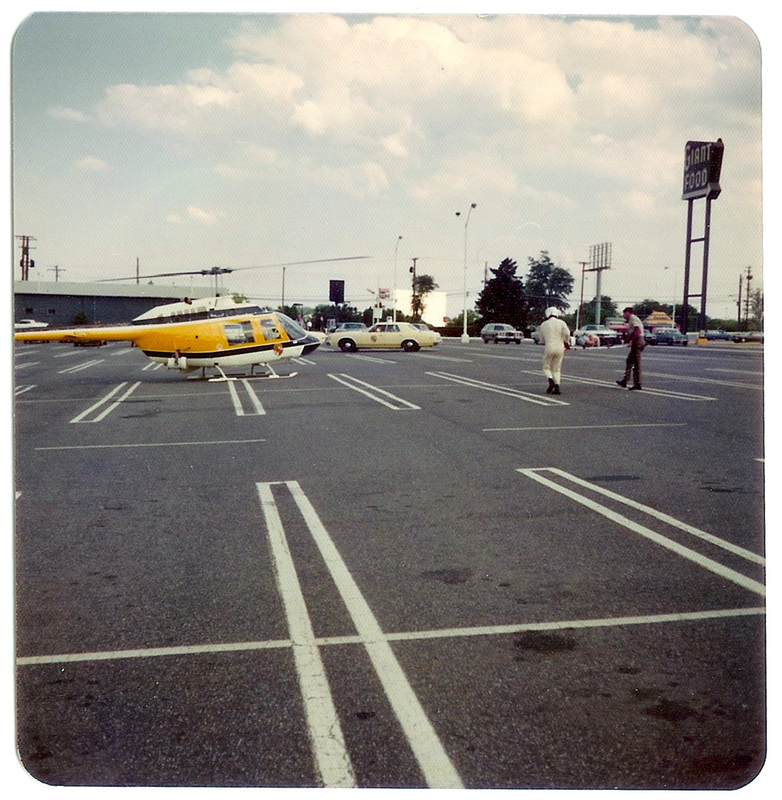 This 1973 photo of Laurel Shopping Center shows a Maryland State Police medivac helicopter on the scene near what was at the time the Hecht Co. parking lot. In the distance is the iconic Giant Food sign (which still stands), and the massive movie screen from Wineland’s Drive-In (which closed in 1984). 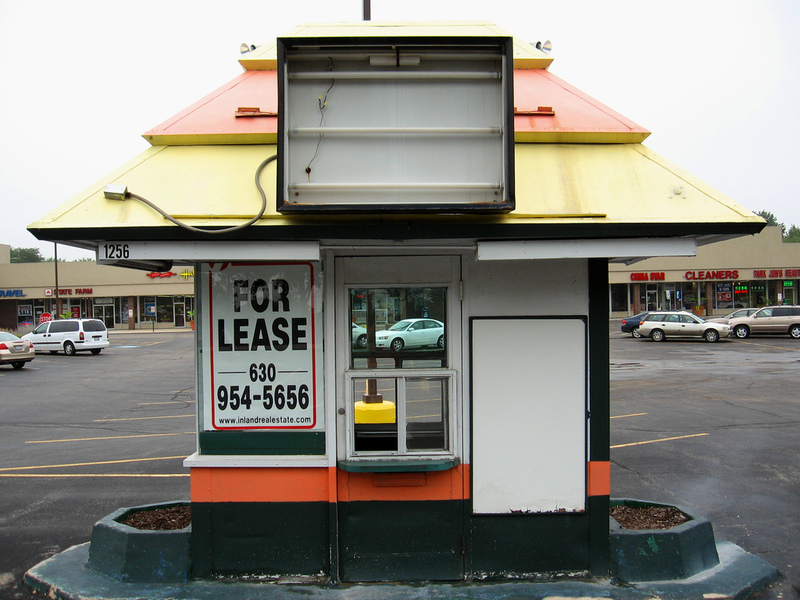 But if you look closely, you’ll spot another familiar building—albeit a tiny one. 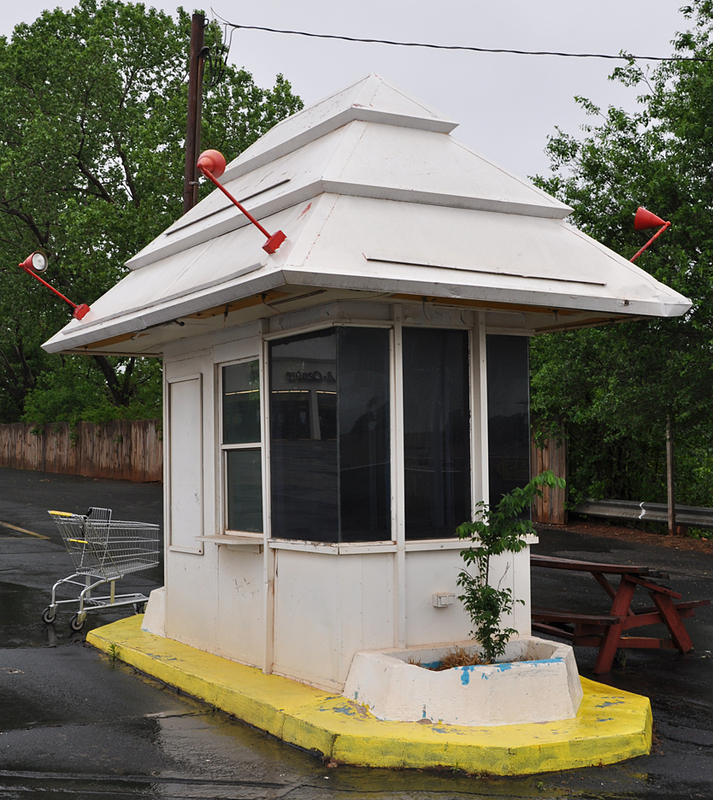 Here’s another hint: its yellow roof almost matches the helicopter. Yes, despite the flurry of police and medical activity in the picture, we’re going to focus instead on that tiny little building that sits just below the Giant Food sign. 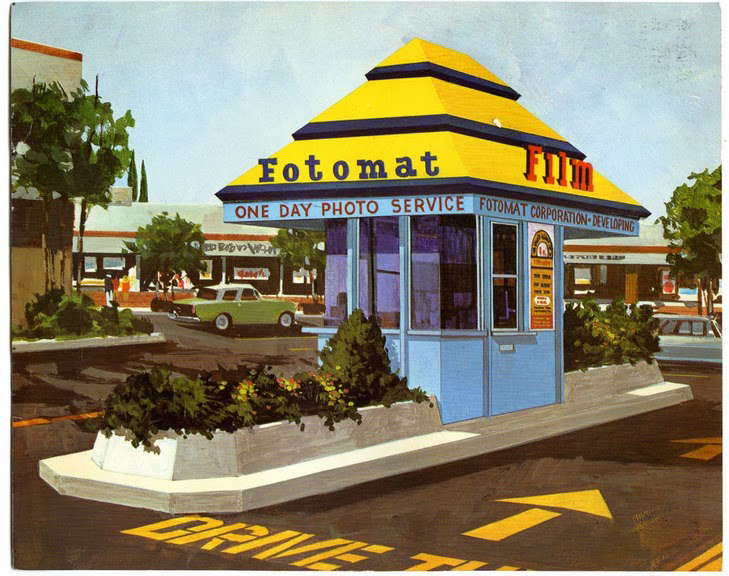 The Fotomat. 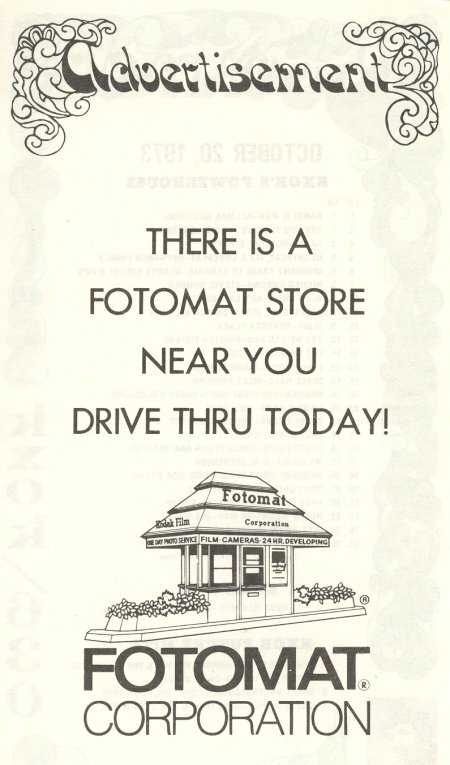 Laurel had two Fotomats that I can recall: this one in Laurel Shopping Center, and another in Montpelier Shopping Center. 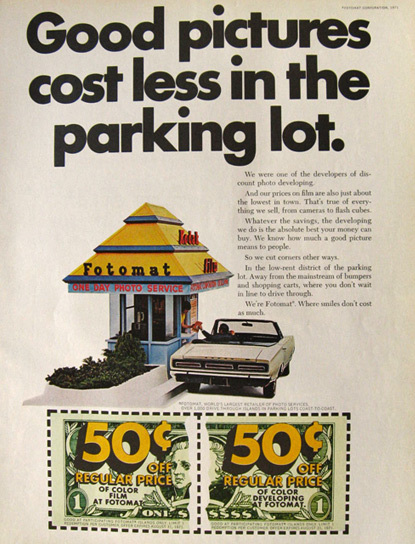 Fotomat buildings (if you can call the tiny structures “buildings”) were nearly identical across the country; a trait that was brilliantly incorporated into their brand. I was always rather fond of those buildings, and to a child, it somehow seemed a bit more exciting to drop our film off there for processing… as opposed to the dreary pharmacy counter at the back of the Dart Drug. 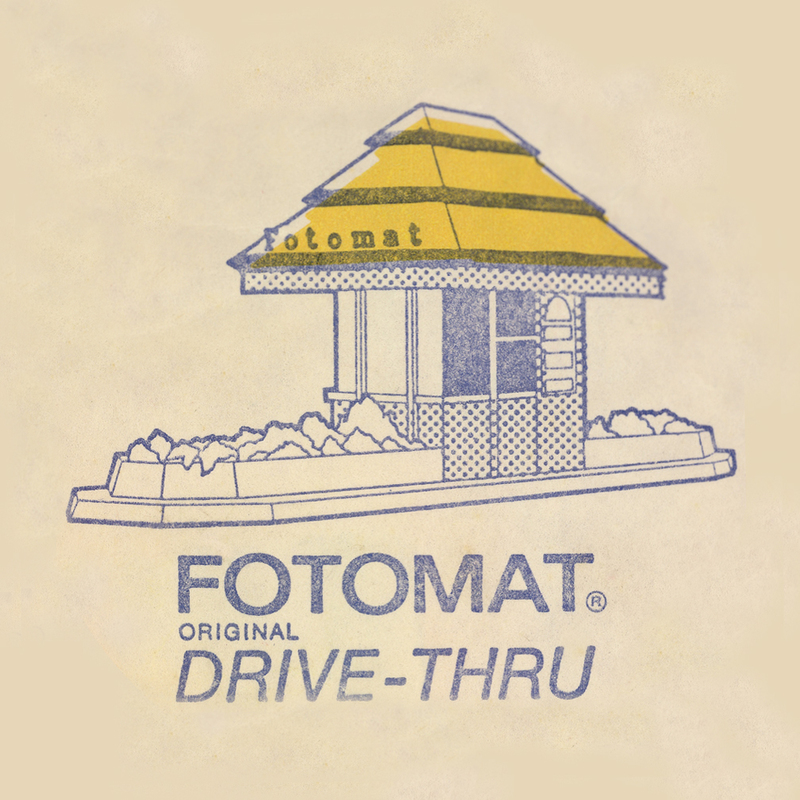 The concept of a drive-thru photo place—which also sold film, batteries, and other camera needs—still seems awesome. 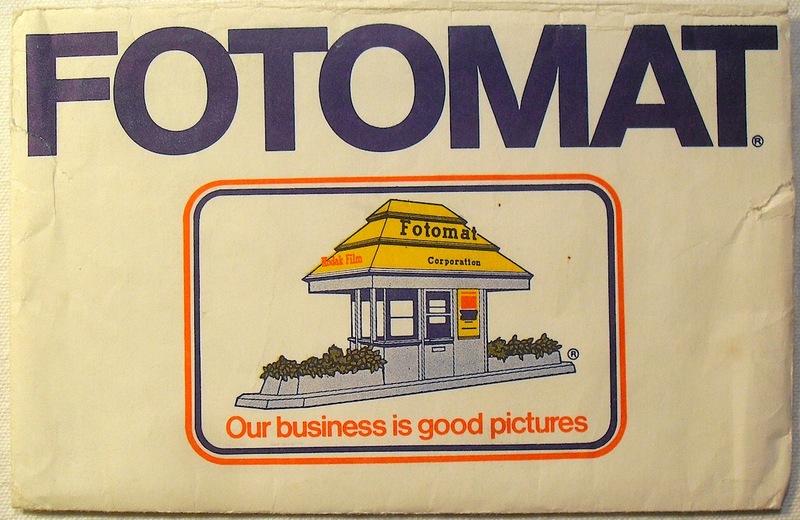 But even as a kid, I imagined that working at a Fotomat must have been a special kind of hell—especially during the sweltering Maryland summers. 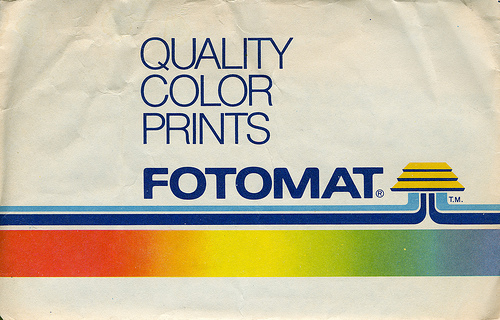 Fotomat was a pioneer in rush-processing, and became massively popular by offering one-day turnaround, which had previously seemed unheard of. 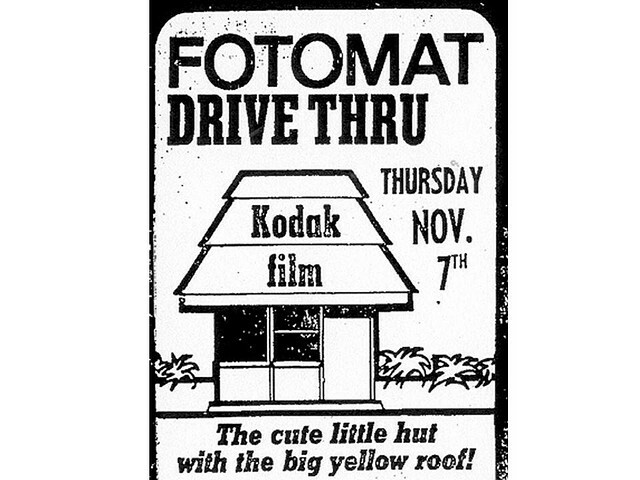 Unfortunately, by the mid-1980s, the competition had caught up and passed them by—with one-hour turnaround. 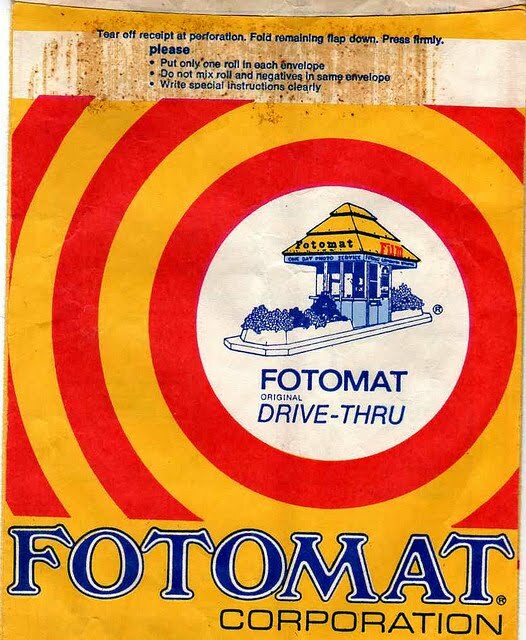 Soon thereafter, abandoned Fotomats could be spotted more often than operational ones. 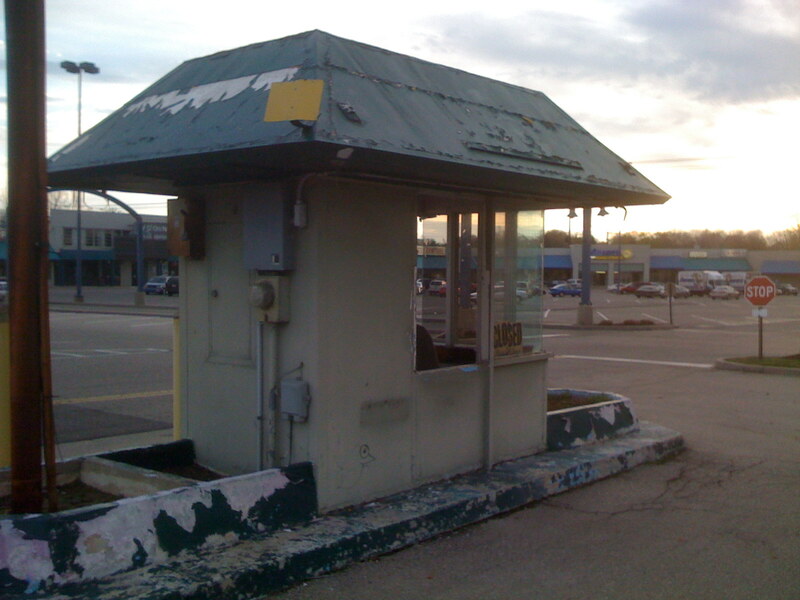 Some were briefly turned into mini ice cream stands, coffee shops, locksmiths, and who knows what else—but most were simply left to wither away. 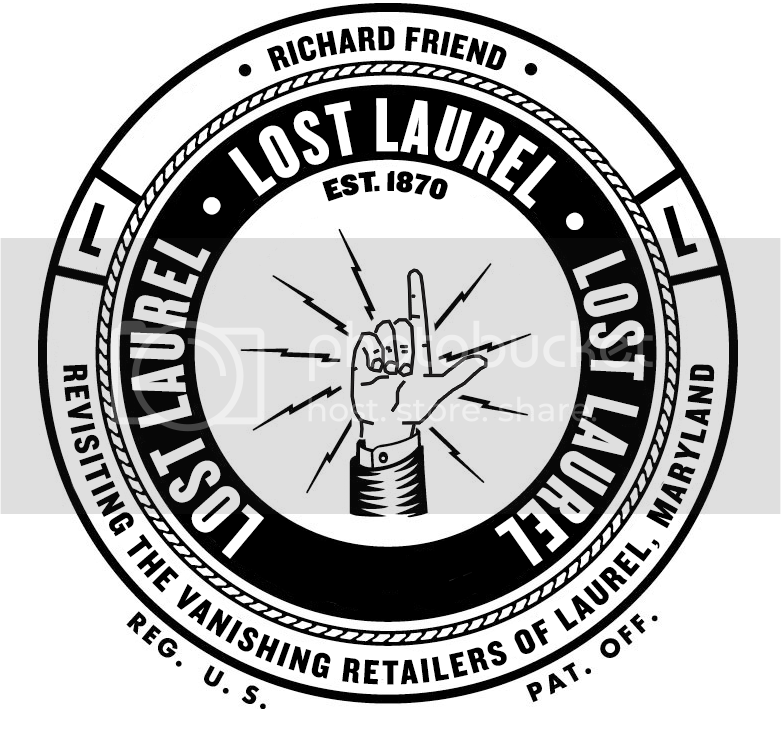 Still, whenever I look at photos of Laurel from the early 80s, I often wonder about where they might have been processed. 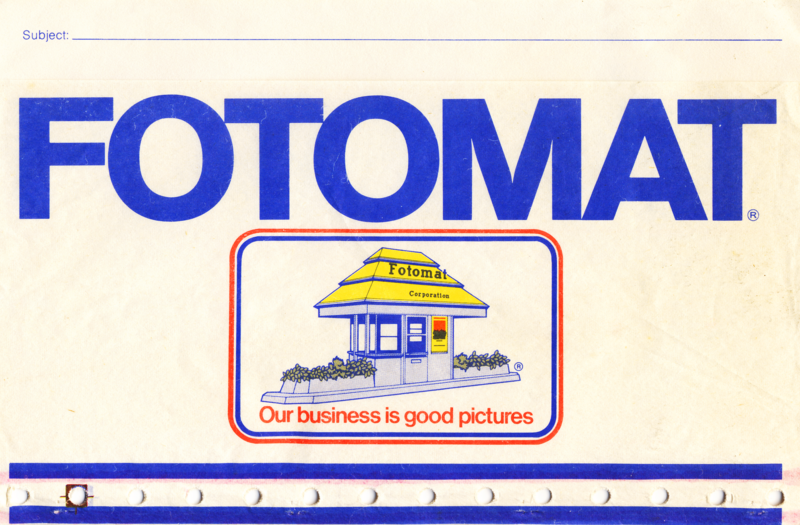 Undoubtedly, many of them came from Fotomat—maybe even this one. 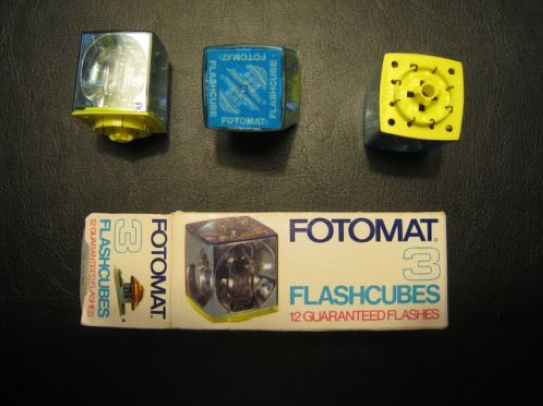 That Fotomat was the source of my first venture into being an entrepreneur – I was buying photos of U2 from a penpal in Belgium, and them getting them made into negatives, and then photos at the Fotomat to sell to U2 fans around the world from my PO Box in the mall.